Real-Time Adaptive Motion Control for Any Robot. Actin® is a general robot control and tasking framework built to meet the rigorous requirements of industrial, commercial, collaborative, and consumer robotic systems. 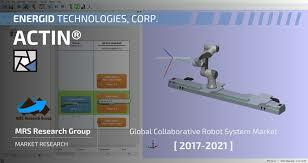 In addition to being the only robotics SDK that provides real-time adaptive motion control for any robot or complex articulated mechanism, Actin provides users with a framework that can be used throughout the development process to simulate, build, control, and deploy a robotic system with unparalleled control capabilities.